Every homeowner prides in an outstanding home that is also safe for children and pets. You require these professionally designed templates to improve the condition of your home. 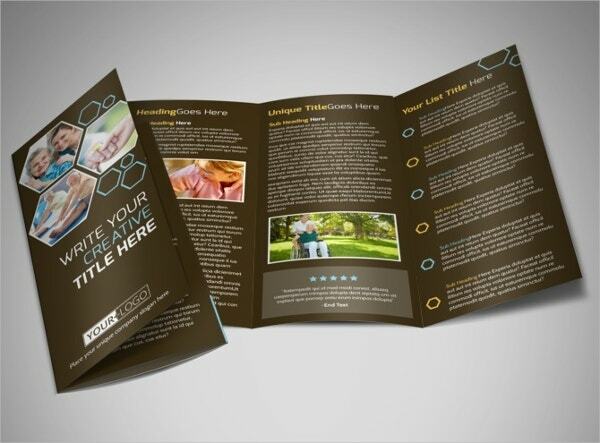 Nursing homes and schools can also benefit from these brochures. 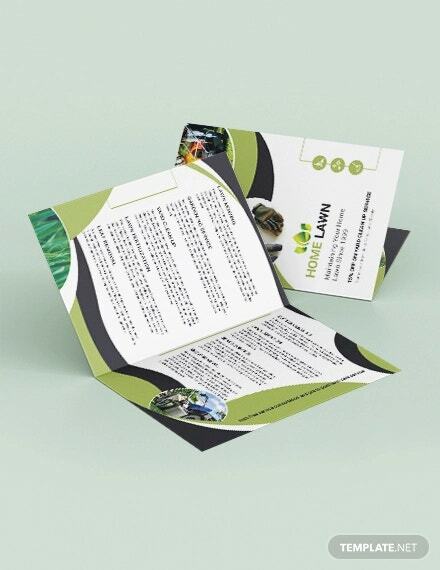 You can use them for typical designing and planning. 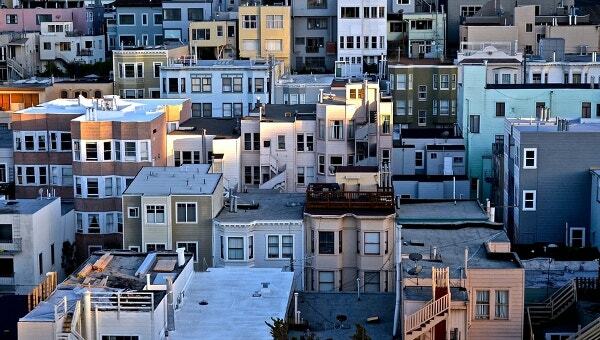 They are also essential for undertaking major and minor repairs within your home. 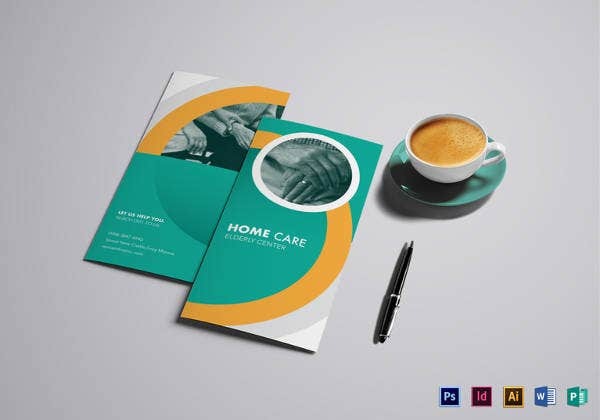 Most of these expert-designed brochure templates are available freely for download and you can customize the themes to match your home care needs.You can also see Tourism Brochures Templates. 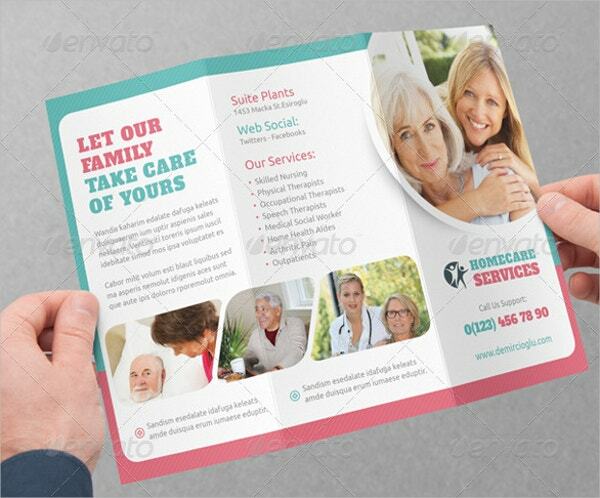 Home Health Care Brochure Templates that are availed for printing are professionally layered in INDD and PSD. They are easy to edit and customize since their images take the vector format. You can also see Fast Food Brochures. 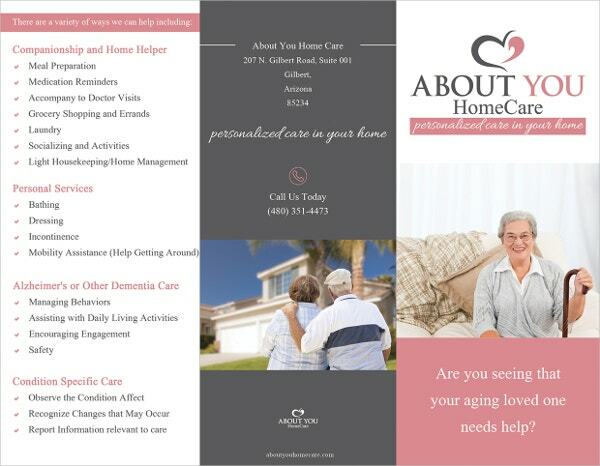 These tri-fold about your home care brochures are creatively designed to enhance the quality of care for the aged. You can customize them to provide care for specific conditions, dementia and personal services. You can also see Chocolate Brochures. These 300 dpi, CMYK color home care tri-fold templates are fully layered. They feature IDML and CS4 formats. You can alter the colors and fonts while editing and customizing it with your images. You can also see Gym Brochures. 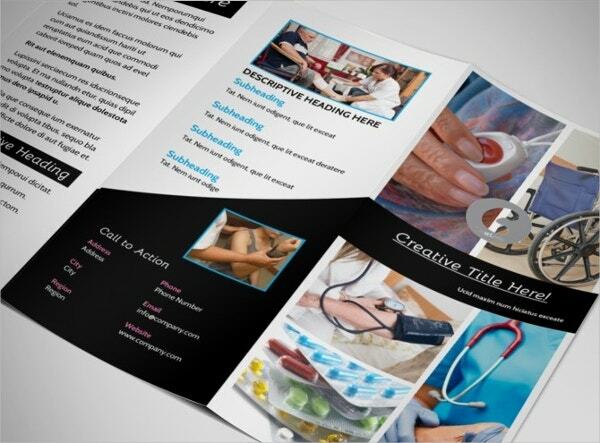 Reliable Home Health Care Brochure allows you to create brochures that correspond to your needs and preferences. 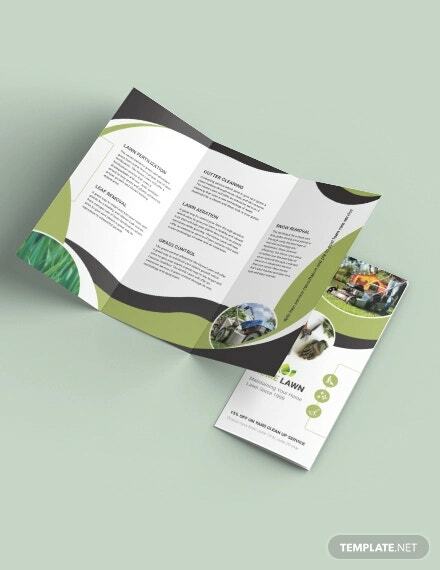 This tri-fold template is easily customizable. Nonetheless, you must download it before manipulating it. 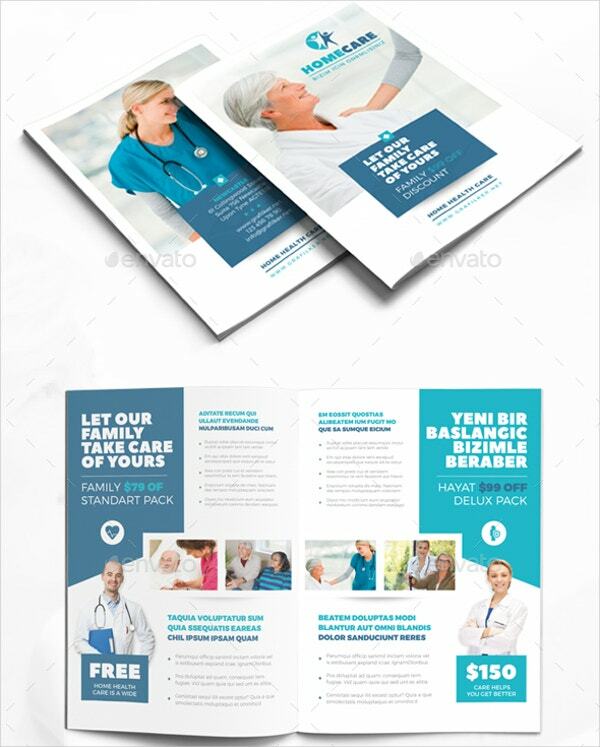 This professionally designed nursing home care trifold brochure is suitable for medicare facilities. It comes in A4 and letter sized papers. It contains psd, Indd, IDML, INX, EPS, Photoshop, Indesign and color CMYK of 300 dpi. 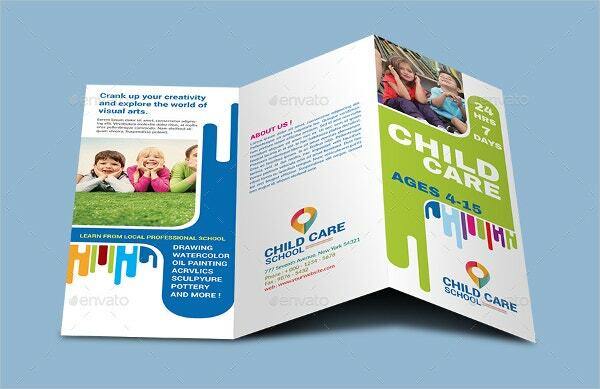 This current corporate childcare school trifold brochure is designed in 11.25 by 8.75 papers with .25 bleed. It also contains replaceable logo and photos. It is layered and ready for printing. 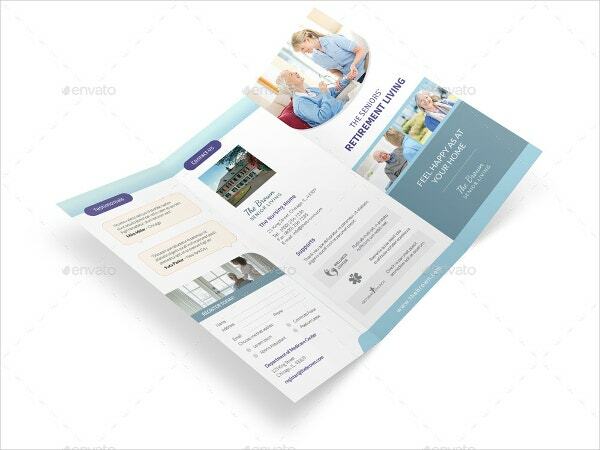 There is a wide variety of Elder Care and Nursing Home Brochure Templates for download. They come in single, double and triple fold depending on their use. They are easily customizable for organizational use. 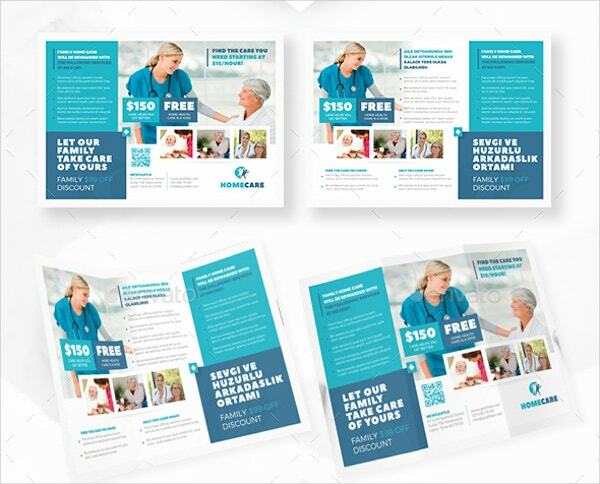 These Home Health Care Tri-Fold Templates for printing do not contain photos. However, you can add your own while customizing and personalizing them with your preferred fonts, colors and images. You can also see Wine Brochures. Finally, the only justice you can do to yourself in a bid to improve your homecare is to use homecare brochures. They will assist you to structure your home or facility in the cleanest and safest manner that you always perceive. You can use them in painting, repairing and renovating your home. Interestingly, they are affordable and efficient.